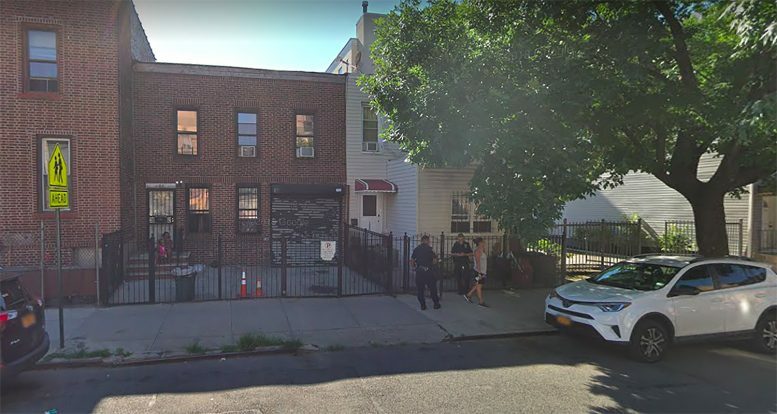 Permits have been filed for a 55-foot tall apartment building at 194 Buffalo Avenue in Crown Heights, Brooklyn. Located between Prospect Place and Park Place, the lot is six city blocks north of the Utica Avenue subway station, serviced by the 2, 3, and 4 trains. Under the SSJL 194 Buffalo LLC, Hagai Laniado is listed as the owner behind the applications. The proposed four-story development with penthouse will yield 5,900 square feet, with 5,841 square feet designated for residential space. This boutique project will most likely be rentals, as the eight residences will have an average size of 730 square feet apiece. Plans for the interior site also include a 40-foot long rear yard. Wu Wood Chen of Infocus PC is listed as the architect of record. No demolition permits have been filed as of yet for the 1945’s one-family dwelling currently on the property. The estimated completion date has not been announced. 194 Buffalo Avenue Brooklyn Crown Heights Infocus Infocus Design & Planning P.C. 2 Comments on "Permits Filed for 194 Buffalo Avenue in Crown Heights, Brooklyn"